Home / gaming / Gaming chair / warlord / Warlord introduced their Gaming Seat Series. Warlord introduced their Gaming Seat Series. 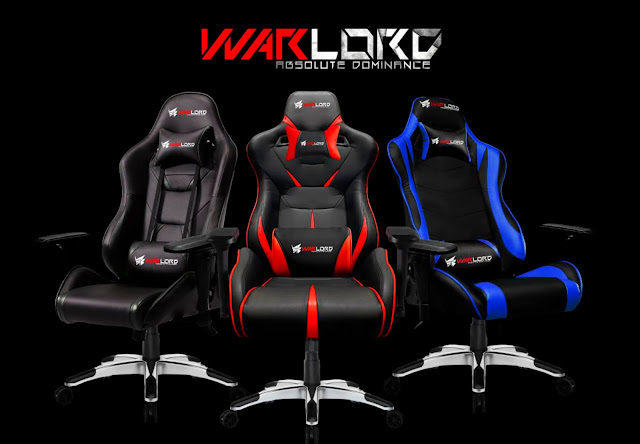 Warlord Technologies, a manufacturing company based in Malaysia launched Premium Gaming Seats, a product optimized in term of comfort and cost, allowing it to exhibit high quality at much accessible price range. It is engineered for highest comfort and durability, the seat is built with reinforced steel frame structure and high elasticity rubber straps. These allow heavy duty usage as well as high heat dissipation capability. Its equipped with class 4 gas lift piston and high grade aluminum-alloy leg frame, the seat exhibits superb stability and weight capacity. Its also comes with 4 color selections which are highly preferable by gamer's, this makes it more eye-catching and easy to fit perfectly in to user’s gaming rig setup. The Warlord Phantom Gaming seat sells in Malaysia around RM 899 or P10,200. To learn more about the Warlord products, visit their Facebook.